Being an engineer, I like to design and build things, and then measure the results and look for ways to improve the design. And when it comes to designing, building, and flying rockets, I like to measure everything I can about their flight trajectory. 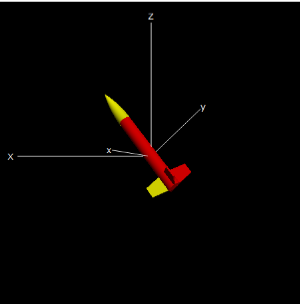 This page covers projects to analyze the data from altimeters, GPS receivers, and other sensors, to understand the flight trajectory and dynamics of the rocket's flight. This data can be compared to the results from flight simulators like RockSim, or from the simulations covered in the Flight Theory section. This is the Excel spreadsheet that is described in a 5 part article that ran in Sport Rocketry magazine, starting with the March/April 2015 issue through the September/October 2015 issue. Click here to download the complete text and pictures of the article series. 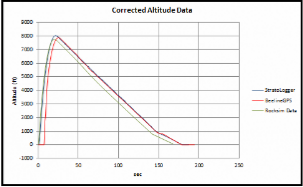 The spreadsheet is used to analyze the flight trajectory data from a Beeline GPS and a PerfectFlite altimeter, and compare to the RocSim simulation data. Because the GPS provides location information in three dimensions, the entire 3D flight path can be plotted. The spreadsheet is already loaded with data from an actual flight, but this data can be overwritten with new data. Click here to download a copy of the Flight Data Analysis spreadsheet loaded with the data used to generate the graphs used in the article. The table below contains list a number of rocket flights and flight simulations with links to links to a page for each with flight data analyses and/or flight visualizations.